Hi guys! This is part 2 of my trip to Taipei trip. I finally took out some of my time to blog about this trip because many people are anxiously waiting for this blogpost. Anways, I will be covering 2 popular places that you might want to visit if you come to Taipei. So it was a rainy morning, and after settled down for a day at Ximending, decided to visit Taipei 101 and Shilin Night Market on the second day. Welcome aboard to Taipei 101! Taipei 101 used to be the tallest building in the world. Unfortunately I wasn't able to go up to the top because my family didn't want to.. but I guess it was still worth visiting this place because it's so cool by just looking at this tall building, it would have been great if you go all the way to the top. Lunched at a local food court at Taipei 101. So happy because I spotted Mos Burger! The sinage is also in english. Hahaha! Fat view of me waiting for my burger to be served. The menu at Mos Burger, the prices are slightly lower compared to Singapore's pricing! Of cos I didn't just ate burger only! Definitely must try other food also mah. HAAHA The food court was huge with a wide variety of food you can choose! Ordered Taiwan Orh Jian again because I wasn't full..
Epic brothers kena snapshot by my sister while we were trying to find a hotspot to connect so I can instagram my photos. Trying to act professional... standing under the lamppost posing. My family and I went back to the hotel to catch up our sleep and decided to go down to Shilin Night Market in the evening for food hunting! *One tip! If you are in a group of 3-4.. it's best to cab because it's more worth it than taking public transport. You don't have to take the train all the time. If saves your time and cash. Just look at the crowd! Reminds me of bugis street and Chinatown. Shilin Night Market opens at 5PM, for regular normal shops it will still operate from morning la. But best time to come down is 5PM onwards that's when you can see all the good food. It seems like everyone is wearing sweater or jackets except for me cos I was wearing casual... Yes, I swear it's damn cold at night! Kinda regretted not bringing my windbreaker. At Shilin Market,you can try to bargain for prices if you wanna buy accessories, clothes etc. but I eventually attempted to bargain.. but I failed...thank god my mum is the queen of bargaining because she can persuade the seller until sibei pek chek then sell it to you lololol! Large bowl of ice jelly. Fresh Sugarcane juice! My favoruite, btw the shop is so greeny lol! Well, that's something you don't see everyday. Students setting up a store selling freshly made cherry juice. You see what I see? "Mo-chi" !!! Wah a shop selling all BBQ food! Tempting to get it sia. Just a close up view! You can pick what you want, they got sausage, chicken wings, chicken breast etc. All sorts of parts you can find. Uncle selling roasted corn. So nice smile at the camera for me! Nice to see a shop selling Singaporean Food!! Hesitant to try but my parents did not want too. Spotted this adorable baby sleeping! Sooooo cute right! Now this is what I call.. "locked out of heaven"... Hahaha! Ok, are those real coke bottles they are using?! Hahaha if not cleaning up would be a mess! Photo taken by my brother. Though it's a fat view of me but it's not badly taken la! Nothing beats but a warm bowl of tang yuan with sweet ginger soup along the road side. Wah, is that Xiao Long Bao?! YES IT IS! Lu Rou Fan again to satisfy my cravings! Lady bug baby! HAHAHA SO CUTE LA.. CANT RESIST MUST POST IT ON MY BLOG! Anyway just a side note, it would take at least 2 hours if you wanna explore Shilin Night Market because there are really many chio clothes and good makan food there. You will need to take your time to walk around! I almost got lost man! 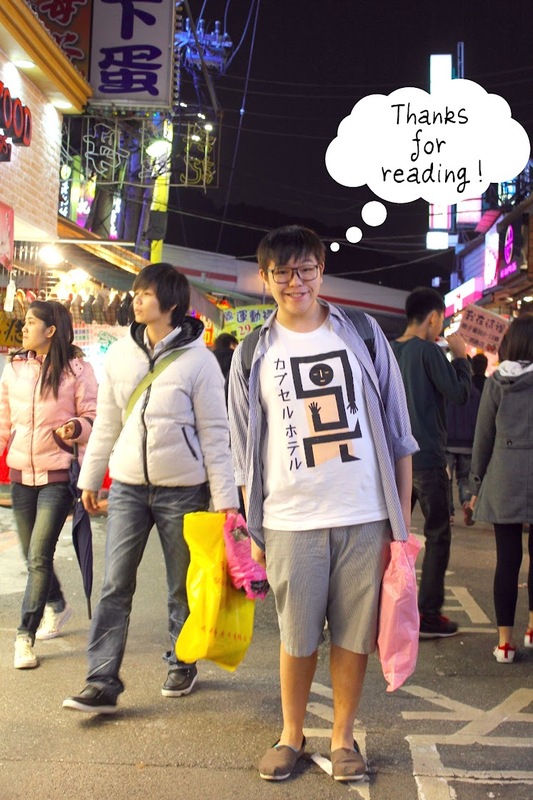 I hope you enjoyed my experience at Taipei 101 and Shilin Night Market! Really grateful cos you even take the time to read this long post. I'm sorry if I'm not detailed enough but I hope that the photos will express it out. how long do you need to explore Taipei 101? How long do you need to spend in Taipei 101? 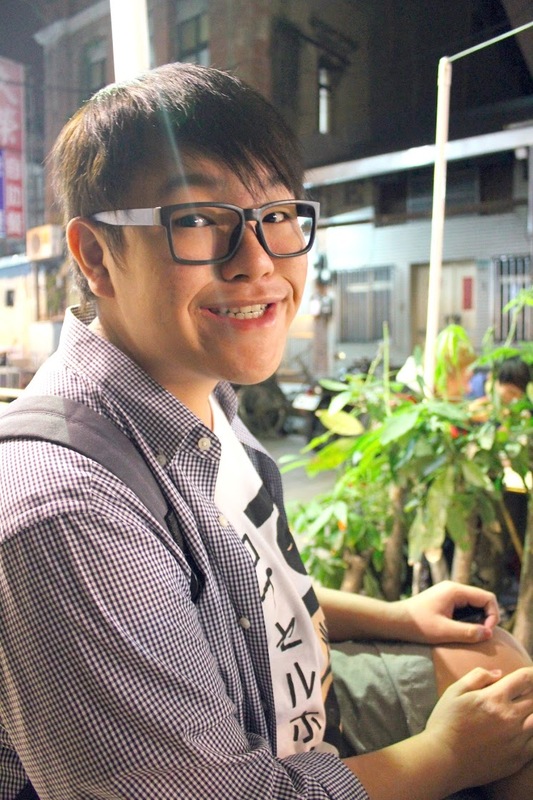 Thanks for this awesome post on Shilin Night Market. I definitely think Shilin Night Market is one of the most comprehensive markets in Taipei....so much foooood! One day I need to go back again soon! thank you so much for your kind comment!!! I wish I could have written better for this post 2 years back! I'm considering to visit taiwan again at the end of the year, maybe I'll do up a new post after that!